Upside Down Podcast - Episode 44 - Faith Under Construction: Recorded Live from the Upside Down Gathering in Chicago! 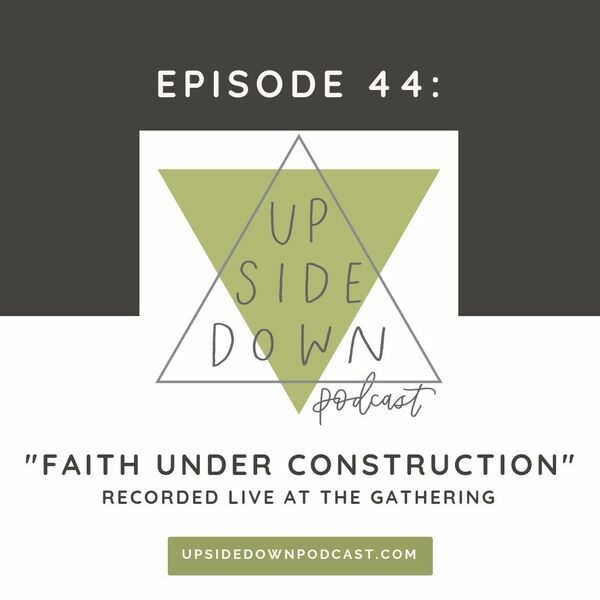 Episode 44 - Faith Under Construction: Recorded Live from the Upside Down Gathering in Chicago! We're excited to share our first episode ever recorded with a live audience, recorded at the Upside Down Gathering on Sept. 21. In this conversation, we dive into the tension between faith deconstruction and reconstruction, guided by professional counselor and friend of the podcast Aundi Kolber. Kayla Craig, Lindsy Wallace, and Shannon Evans open up about their own faith journeys in this special episode. What was your faith upbringing like? What have pivotal points been in your journey? What has deconstruction of faith looked like for you? Why is reconstruction important? What books, thoughts, or spiritual leaders have helped shape your faith? Do you consider yourself an evangelical? How has your view of God changed? Join us as we share our honest experiences inside and outside of the church, reflecting on how our Christian faith has been shaped, molded, broken down, and built up on this long and winding journey with Jesus. To learn more about Kayla, Lindsy, and Shannon’s faith journeys, check out episodes #8, #9, and #12. To learn more about Aundi’s work, listen to episode #36 on mental health. If you’d like to support us to keep Upside Down Podcast ad-free, please visit http://www.upsidedownpodcast.com/give, where you can pledge a few dollars of monthly support to help us pay our bills and keep the conversations going.